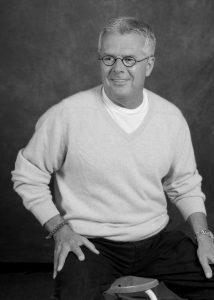 Writer; Emmy- and Peabody Award-winning producer; WGA and PGA member whose credits include the dramas CSI, JAG, That’s Life, Melrose Place, Nowhere Man, Savannah, and the miniseries, Sybil. 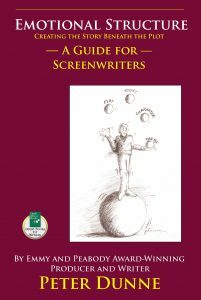 He is the author of Emotional Structure: Creating the Story Beneath the Plot (Quill Driver Press, 2006). I teach because I want to inspire my students to find the courage to pursue their writing dreams. Yes, I teach structure, character, and tricks of the trade, but there is something more important to learn than all of these put together. When I look back on my own student experience, the teacher I remember and respect more than any other was the one who believed in me before I believed in myself. That teacher helped me break free from the fears and insecurities that kept me from trying. Once I took the risks, I was able to separate my fantasies from my dreams and work at what I truly loved. Your dreams of becoming a writer, very much like mine, are real and within reach. I believe in that and I will teach you to believe in that. If you learn anything in my class it will be that taking risks is worth it, and that the emotional free fall you experience in the trying is the very lifeblood of writing. Instructor Website: Click here to leave our website and go to Peter’s website.